It’s surely innovative, although I wonder what the merits are to having a chunk of glass where you’d have a display. The advantages of a display are A. replication accuracy, B. aren’t as fragile as glass, and C. can display things like menus, guides, metadata, but designer Deepak Kumar believes having a curved concave slab of glass (with a curvature that matches the focal length of the camera lens) would result in a more unique experience. The glass slab would have a few obvious pitfalls. A. Glass is fragile, B. You’d have to hold the camera at a specific distance from your face to see things in the viewfinder perfectly, and C. Parallax. You have to look at the glass at an exact 90° angle to see your composition clearly. Nevertheless, the LUCID camera takes on an approach one would say is analog. I’d honestly love to see a camera with a massive glass viewfinder, just so I could be much more aware while composing my shots, and possibly being rather surprised by what photos I actually end up clicking. This would be a very interesting accessory for a GoPro if someone could build it! Computer users with small desks often wish they had more desk space. However, workspace can be hard to come by thanks to big computer displays and keyboards. 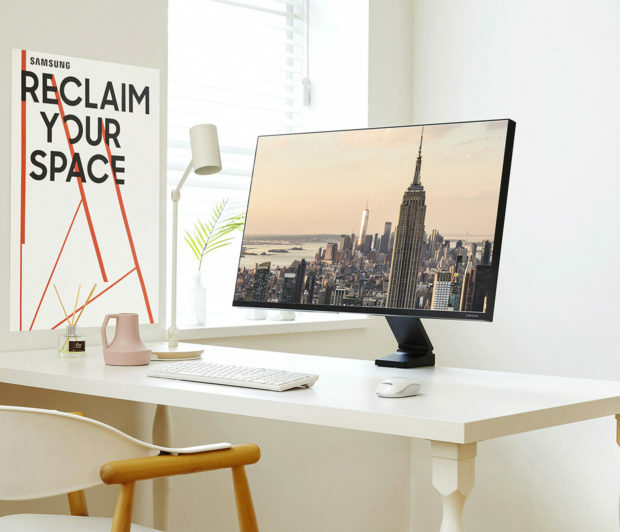 Samsung now has a slick display called the Space Monitor. Rather than having a regular stand, the Space Display comes with an arm that connects to your desk. 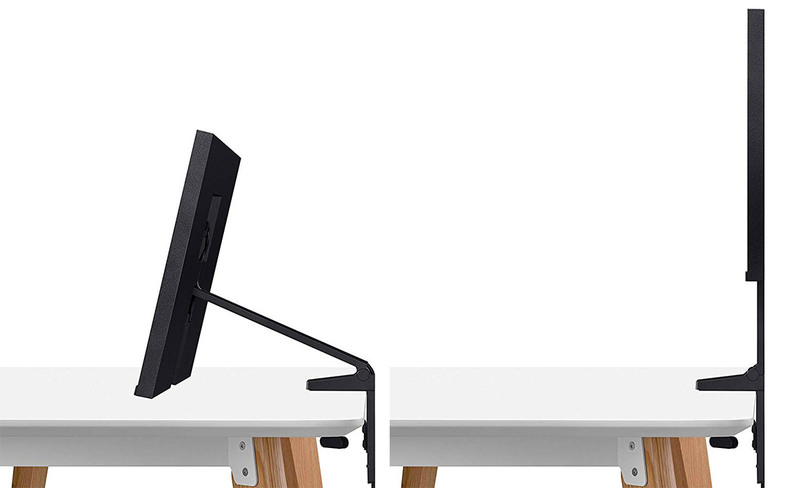 Simply clamp the display’s stand to the edge of your desk, and you can adjust the monitor’s angle and distance from right up against the wall, to a low profile similar to that of a laptop. 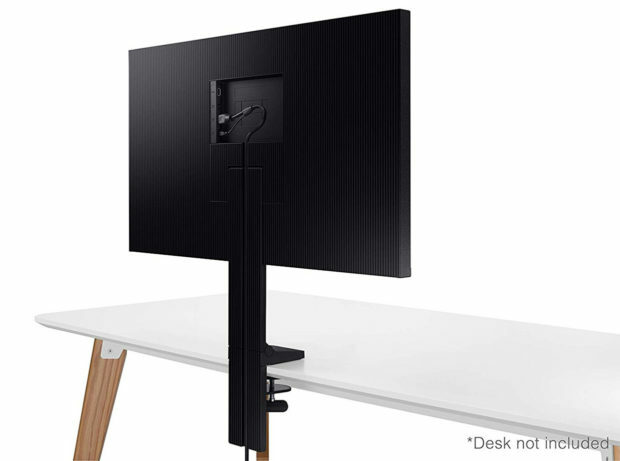 It’s a really smart design that eliminates the need for a third-party monitor arm. The 32-inch unit supports 4K resolution while the 27-inch supports WQHD resolution. The 27-inch Space Monitor sells for $399.99, and the 32-inch Space Monitor retails for $499.99. Both displays are available now over on Amazon. As outrageous as it sounds, if this format is even remotely possible (and works well), it’s surely the format to beat. This the conceptual Tesla C1 by Jeffrey Lee. It’s not a folding phone… it’s a sliding phone. A sliding phone with a sliding flexible screen. Part of the screen faces the back when the phone’s collapsed, acting as a notifications zone, while the remaining majority of the phone lay on the front, ready to be used normally. However, if you’re in the mood for something more than just normal, the C1 features a telescopic design that allows the phone to expand sideways… and when it does, the screen at the back effectively slides upwards and becomes the screen on the front. Complicated mechanism aside (it essentially means the screen’s semi-detached from the phone), it’s surely worth a try, especially since LG’s rolling television works on a similar premise… and although there’s no indication that Tesla has any interest in consumer electronics, I think it’s fitting that a concept this audacious and innovative would have Tesla’s name attached to it! Let’s ignore the fact that this conceptual iPhone XFold has the exact same format as the Samsung Galaxy Fold, because this who-did-it-first battle between iPhone and Samsung isn’t worth our time. It should be, however, more of a who-did-it-better battle. The Samsung Galaxy Fold is absolutely gorgeous, but the iPhone XFold looks like it would be a bigger commercial success… and that’s because the XFold’s design is instantly familiar. If you look at the iPhone X Fold’s OS, you see that it’s essentially an iPad Mini folded in half… a desirable #bendgate if you will. It features a secondary screen on the front that resembles the iPhone X (why it features the notch, I’ll never know), but its most unlikely yet apt inspiration comes from one of Apple’s most reliable products ever, the MacBook. The XFold features an inward screen as the MacBook does, and even comes with the same anodized aluminum finish. Look at the rim and you’ll even see a slight cutout on the frame to slide your thumb in and open the phone, just like the MacBook has. The iPhone XFold concept truly embodies the best of all worlds. When closed, it’s an iPhone X, when opened partially, it’s a miniature MacBook, and when fully opened, the XFold transforms into an iPad. Apple’s just begun patenting technologies surrounding foldable displays, so maybe we’ll see whether this remarkable concept has any similarities with Apple’s vision!